Insurance only realises its true value when a claim is made. It is here that your Scheme distinguishes itself from traditional insurance. LGIS employs full time senior claims consultants with more than 10 years' experience in the insurance and risk industry to work exclusively on your claims. The objective of the team is to provide advice, guidance and strategic manag​ement of claims to reduce potential liability exposures and claims costs by prompt identification and processing. The handling of claims begins with the lodgement and progresses through the entire claims handling process including appointment of loss adjusters and liaising with the Schemes reinsurance panel where necessary or larger losses to ultimately issuing settlement cheques. Advise the LGIS claims team immediately after an event occurs or a potential situation arises that could result in a claim. 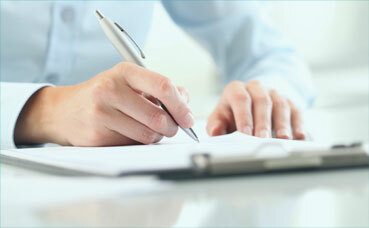 Where a claim form is provided we will assist you with the completion of the document. Complete the form, ensuring that all relevant questions are answered and attach all relevant documentation to support the claim. Do not accept any expenses through litigation or agreement, or admit liability verbally or in writing, otherwise you may prejudice your claim. Any Summons, Writ or other legal demands must immediately be directed to the LGIS claims team with a covering letter. Acceptance of liability will be provided by either the Scheme or your insurer. You must notify the police if a crime has been committed. Apart from assisting the police, be mindful of making statements to people who may not be acting in your best interest. We suggest that you appoint one person within your organisation to manage each claim and provide a central point of coordination. Find the relevant claims forms or proceed to each of the relevant sections. View your member claim profile to access specific claims data relating to your Scheme protection in particular workers compensation, property and liability. Allowing you to visualise and consolidate your claims activity, your claims data can be filtered by year, status, cause and nature of damage. You can benchmark your local government against other similar local governments and those in your specific region. Sometimes we are required to seek legal advice for matters involving third party or common law action, for example a motor vehicle accident claim. The legal advice that LGIS receives from its legal providers is extremely important in the context of putting in place strategies to manager the future conduct of your workers compensations claims. The WA Freedom of Information Act 1992 enable the public to access documents held by public sector agencies such as local governments, by submitting a FOI application. In accordance with the Act local governments are required to release documents as requested in the application.